We have all heard about the negative effects of sun rays and how it can affect our skin before. This advice has been passed down from generation to generation, and for good reason too. Like many of my kids in class, this information usually goes in a ear and comes out the other (figuratively, of course). Albeit ashamed to admit it, it wasn't till recent years that I finally acknowledge and internalised the information and am making a conscious change. So the hunt for the perfect sunscreen began! I've tried many and trust me, when I say I've dabbled in quite a few as I am extremely picky. Some sunscreens are too thick and hard to work with, some left a garish white cast on the skin, some stung my face (and trust me, it hurt) and some just broke me out. 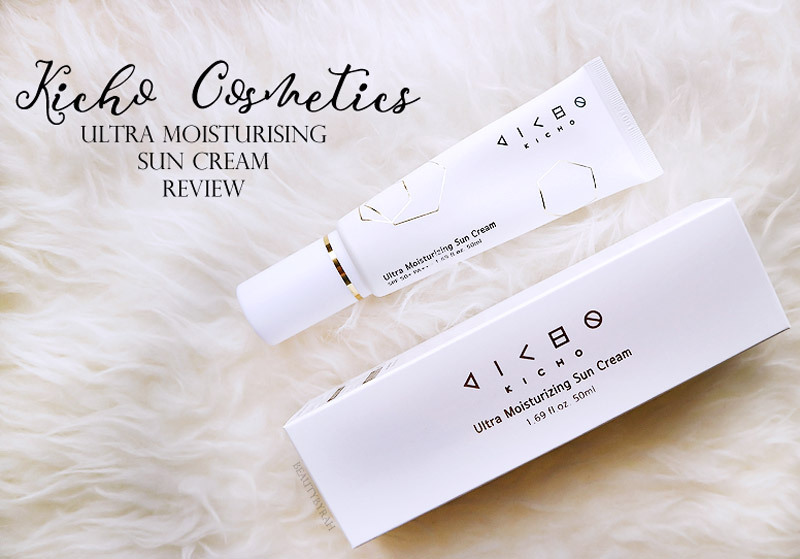 When I received the Kicho Ultra Moisturising Sun Cream in the mail, I was excited. Excited enough to open it immediately and start smearing it all over my face. Yes, not the best example of self restraint or upholding beauty blogger procedures of snapping pictures before soiling the product. Let's just move past that. The pictures did not turn out half bad, eh? Spoiler alert. I like it. A lot. A looooooot. Firstly, the packaging is neat and simple. It comes in a squeezy tube and wait for it..... it's with a pump. Keeps things hygienic, neat and easy to handle. There ticks of approval in my book. I also quite like the simple design of white, black and gold. It looks classy when placed on the vanity and let's face it, nice packaging is always a boon. The pump is easy to control and the product does not squirt out menacingly, but in a controlled manner. So yes to no product wastage, no mess or unwanted product residue all over the clothes and arms. 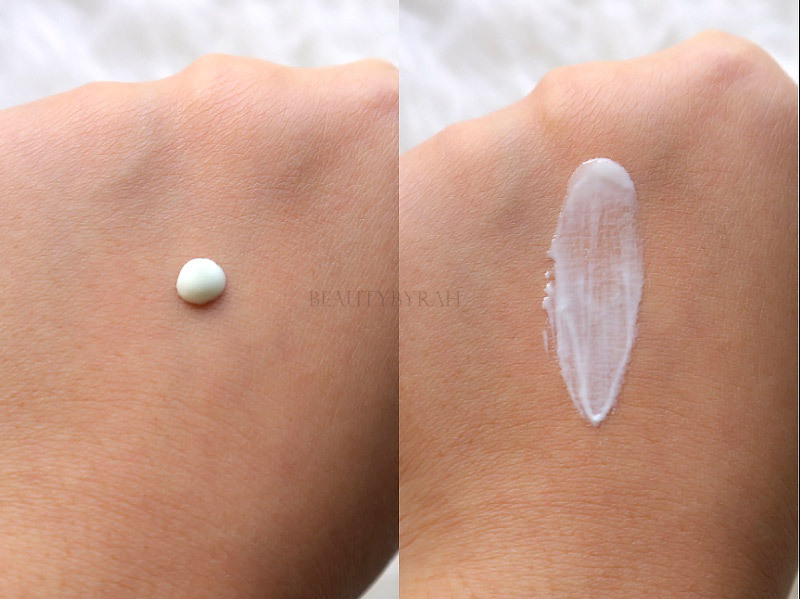 The product is a whitish yellow cream that borders along a gel-like texture. It is incredibly lightweight for a sun screen! This feels and applies just like a day moisturiser, where it goes onto the skin really easily and blends like a dream. No more intense tapping to work the product into the skin. And the biggest plus point for me is that it does not leave any white cast at all. Despite layering it atop my day moisturiser, my skin does not feel tacky nor heavy and it is extremely comfortable to wear. It also works nicely under makeup without causing any patchiness or streaks. It also has a whiff of a herbal scent (really slight and nothing overpowering) which I quite enjoy as typical sunscreens smell chemical-ish to me and I could not stand it. 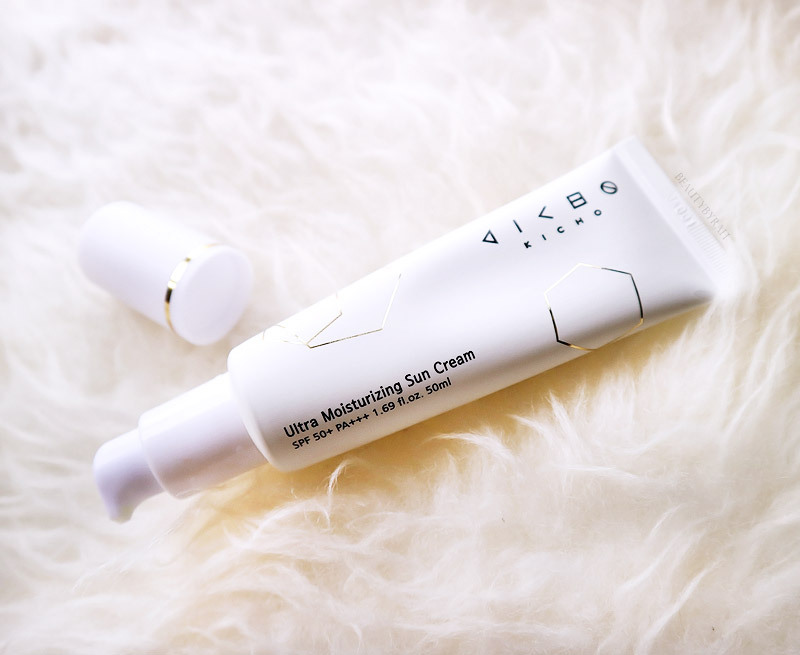 Despite its lightweight and extremely breathable formulation, this sun cream provides SPF 50+ PA+++, which is extremely decent coverage against UVA and UVB rays from the sun! Kicho’s Ultra Moisturizing Sun Cream provides up to 12 hours and 30 minutes of sun protection with only one application. Specially formulated to be used as a face product, this long-lasting sun cream protects the skin from harmful UVA and UVB rays without leaving white residue behind. The cream is made of natural and proven ingredients like green tea, soy, wheat, and camellia that offer a variety of skin care benefits. Due to its soft and refreshing texture, it is absorbed easily and does not leave a greasy film behind. With a weightless finish, this sun cream can easily be worn under makeup. Formulated without benzophenone, artificial dyes, talc, mineral oil or animal ingredients. If you're not a fan of thick, white or heavy sunscreens (I've been there, to the extent I actually forgo it sometimes), I have to say that I highly recommend you checking this out. This is the first product that I've tried that offers the same amount of UV protection as traditional sunscreens and sunblocks, but without the annoying texture, residue and white cast. Should have bought tons of this when I was in Seoul! Funny though, as I did not see a stand alone Kicho store. This retails for 36000 Won, and I found a couple websites where it is going for USD 36 (here and here). It also retails for SGD 58 on Qoo10 here. It is pretty pricey for a sun cream though. Thank you to the BNT News Team for sending this my way and introducing me to a wonderful new product! 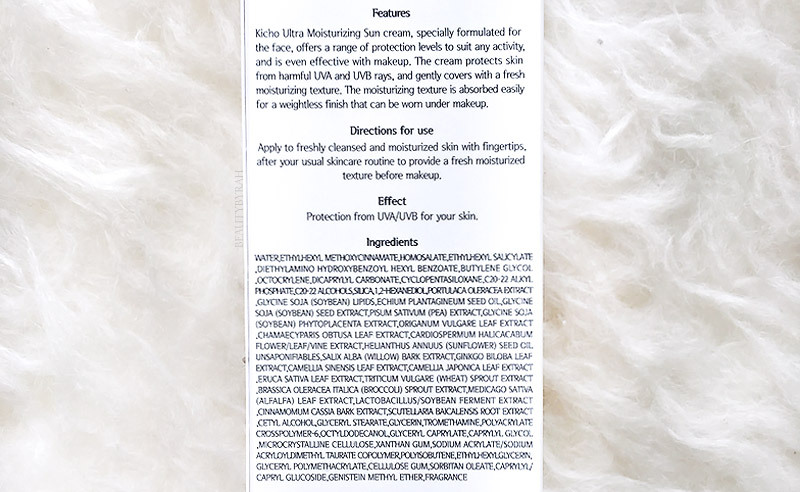 Have you tried any product from Kicho Cosmetics before? **This Sun Cream was sent by BNT News for a review. Only honest thoughts are shared here, with no influence from others. I am not compensated nor affliated to the brand.